A SPONSORSHIP deal for Ponteland First School is set to blossom, after £200 worth of flowers and vegetables have been donated to its gardening club, helping it to clinch a school garden award. The donation from Cowell’s Garden Centre in Woolsington was made up of flowering bedding plants and a variety of vegetables including beans, peas, rhubarb and potatoes. The flora were planted within the school grounds on Thornhill Road, by its own gardening club made up of eight and nine-year-old students and teacher Mr Vincent, who have scooped a silver award in the Northumberland School in Bloom Award for the second year running. The school gardening club was established in a bid to create a fun and interesting way for the pupils to learn about food and where it comes from, whilst also promoting the school’s healthy eating scheme. Cowell’s Garden Centre manager Martin Cowell said: “We’re delighted to have helped our local school’s gardening club win another award. “We hope that the donation continues to further sow the seed of students’ interest in gardening and horticulture. The club promotes good values like how important fresh vegetables are and demonstrates where food comes from and how to grow it. 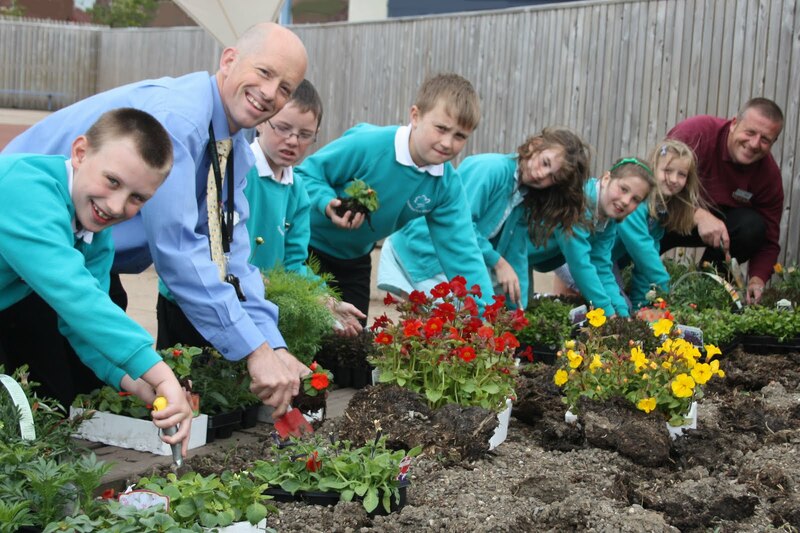 Ponteland First School year four teacher Mr Vincent said: “The generous donation from Cowell’s Garden Centre not only helped us achieve silver in the School in Bloom awards, but also provided our gardening club with vital resources to help us teach food and cultivation principles. Photo caption: Gardening club students plant the donated flowers by Cowells Garden Centre, (L-R) Leon, Mr Vincent, Thomas, Jack, Kathryn, Laura, Grace.